No matter how many financial blogs, articles, or books you read, or how many financial advisors’ advice you get, one thing rings consistent, your financial need for a budget. If you’re someone who doesn’t go overboard on spending or you feel as though you have enough funding to accommodate all of your wants and needs, you might think a budget is unnecessary. Even so, a budget in many ways acts as your financial roadmap. Without one, you only stand to spend and save your money blindly to the point where you might not even realize exactly where your money’s going. It’s a practice that can leave you wasting money and spending more than you should. A budget doesn’t necessarily have to be restraining if you don’t need it to be, and having one can benefit your finances immensely. A budget might be one of the most basic tools in your financial arsenal, but it’s also one of the most important ones. If you’re still dragging your feet or procrastinating your budget, consider these 7 ways a budget benefits your life. In many cases, budgets are seen as a means of restricting your finances. While this might be true if you’re short on money, if that’s not the case for you, a budget can also help you take back control of your finances. Between the array of subscription services available and the ease of automated bill pay, it’s not always clear where your money goes each month. By creating a budget, you list out and categorize where you spend money every cycle, so you’re always aware of how much is going where. And when it comes to your income, having a map for your finances is vitally important. Since a budget helps you review every area you’re allocating money towards, you’ll be able to make areas of waste apparent. Again, with the variety of monthly services available, it’s easy to sign up and forget what you’re paying for. Moreover, as time goes on some of those expenses might become ones you barely use. By having a monthly budget, you’ll review your monthly expenses and cut out any unnecessary costs or items you simply don’t use. You’ll save and have the opportunity to reallocate that money to a different priority. You can also use a tool like Trim to help you eliminate unnecessary subscriptions and negotiate for lower monthly bills. Without a budget, it’s easier to purchase items you want on a whim. If you’re tracking your finances, however, you’re constantly aware of your spending and money habits. That being the case, you might find yourself striving to stay within budget and begin to shift away from too many unnecessary expenses. 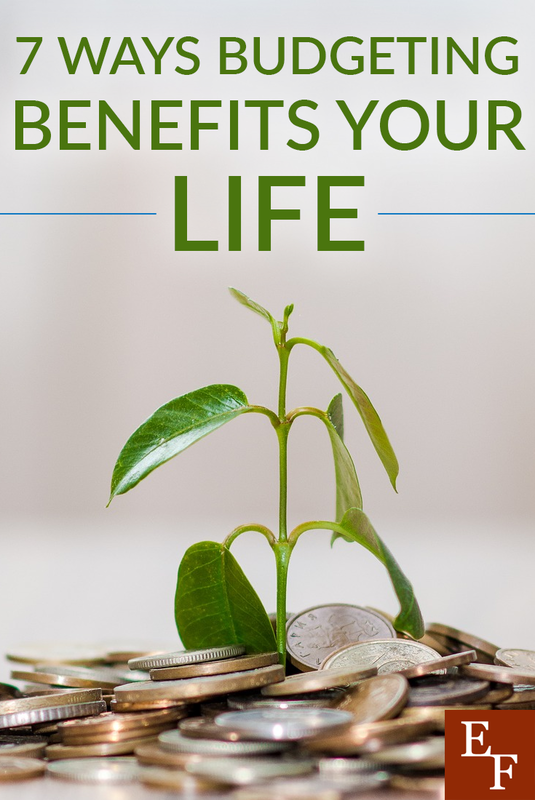 Furthermore, as you become conscious of exactly where your money is going, you might begin shifting those funds to other, more important areas, like savings. And should you ever need to take on debt, thanks to your budget and more aware spending habits, you’ll know just how much you can handle. If you’ve ever reached the end of a pay period all too-ready for that next check, having a budget could help eliminate the anxiety. Without a budget, your money can seem as if it just flies out of your bank account, to the point where you can feel strapped for cash. When you establish a budget, you’ll also establish where everything goes each month. Ergo, you’ll always know your bills our paid, put money into savings, and if you have any surplus funds to spend on other things you might want and need. A budget helps create intention with your money. And in doing so, you can be more intentional about the amount you put towards your financial goals. Instead of spending money here and there, never knowing exactly what you spent and where, you can ensure you put money towards your most important goals first. Hence, you’ll not only reach those goals that much quicker, but provide yourself with the opportunity to set more goals as well. Saving for your future can be difficult if you spend in the now. Even if you have income left over to put towards savings, you might not be adding as much as you could be. Through your budget you’ll eliminate waste, excessive or unnecessary expenses, and provide you with the flexibility to move income around, which will give you the opportunity to ensure you put away for things like your 401(k) and emergency funds. Ergo setting you up for any future unexpected events and setting you up for your future as a whole. So, instead of worrying as to whether or not you’re saving enough, with a budget you’ll always know. Whether you like to admit it or not, spending without a budget makes it easy to live outside your means. It’s easier to justify extra purchases and possibly ignore the fact that your simply purchasing items you can’t afford. A budget, as mentioned, makes you aware of every purchase and expense, which means you’ll also be aware of what comes in versus what goes out. Upon reviewing your budget, you’ll no doubt make adjustments to keep yourself from spending outside your monthly income and might even begin to save more. In the end, you’ll spend less, keep more and have all-around financial margin to put towards better use. Instead of depleting your income, you’ll grow it. Setting up a budget can seem cumbersome and restricting. Ergo, if you don’t think you have money or spending problems, you might be procrastinating the process. That being said, even if you make a point to live within your means, sans a budget there still might be expenses you’re either unaware of or simply spending too much on. More than you might realize, a budget can help you fully take control of your finances and benefit them in ways that benefit you. Create a budget and before you know it, you’ll be in an all-around better place in every area of your life. What’s a great way to begin setting up a budget? What are some expenses you know you could budget better on?